It feels super weird not doing blog posts for the HANON collaborations after I’ve been sent the press release by them, instead, I’m part of creating the press release and site takeover which you can check here. However, my colleague still makes sure he sends me the press release to my personal email, a little bit of nostalgia there. 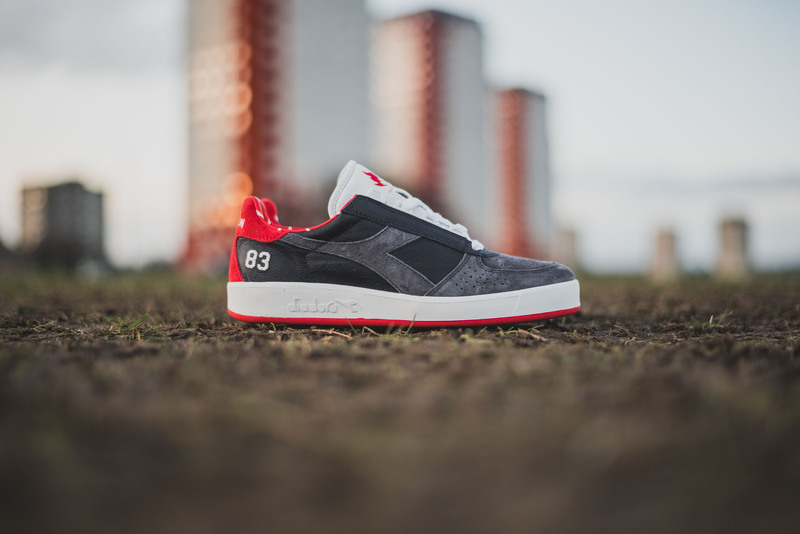 Anyway, hanon x Diadora B.Elite ’83 Final – The Spirit of ’83, let’s get stuck into it! 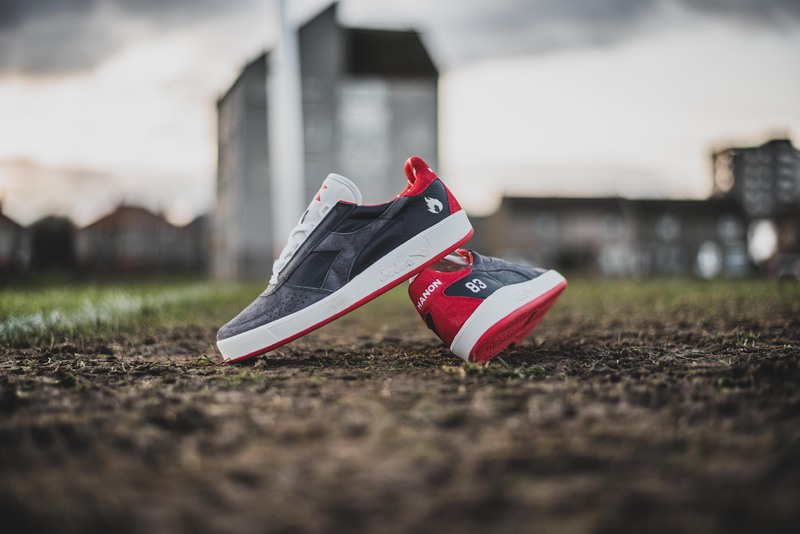 So you’ll remember the red pair which released back in October (refresh your memory here if you forgot), well, this is the second colourway, and has been dubbed the “’83 Final” colourway. 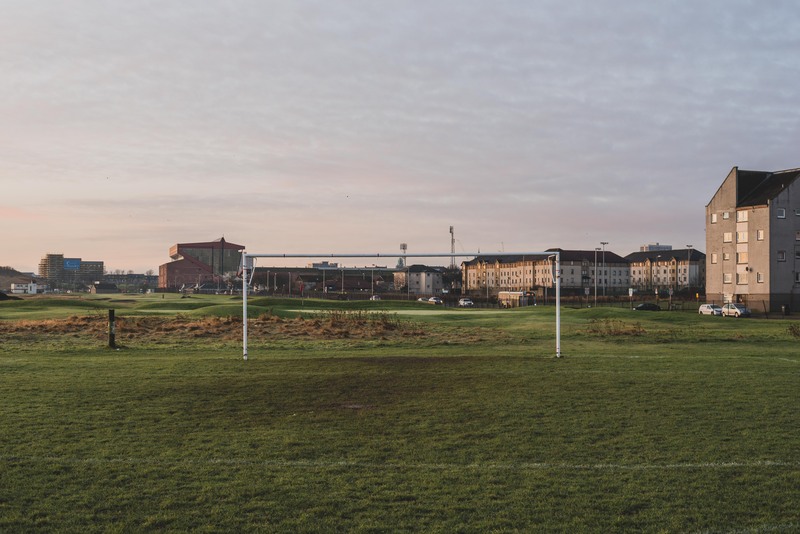 I’ll get to the blurb a bit later, but with regards to the shots of the shoe, I wanted to try and avoid the whole Pittodrie setting (Aberdeen FC’s home ground), but still have it loosely related to football. 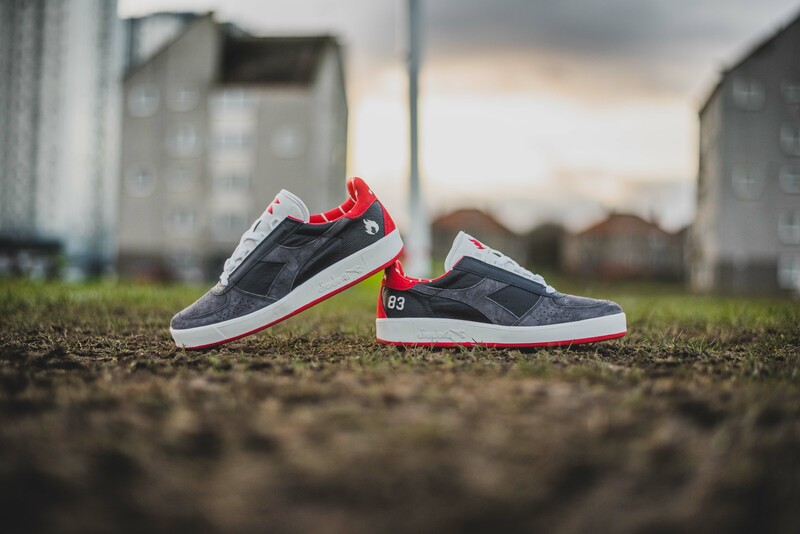 I think this colourway will be a lot more attractive to a wider audience in comparison to the first colourway, so I didn’t want to have football and Aberdeen FC as the main focus when shooting. But now for the juicy details! 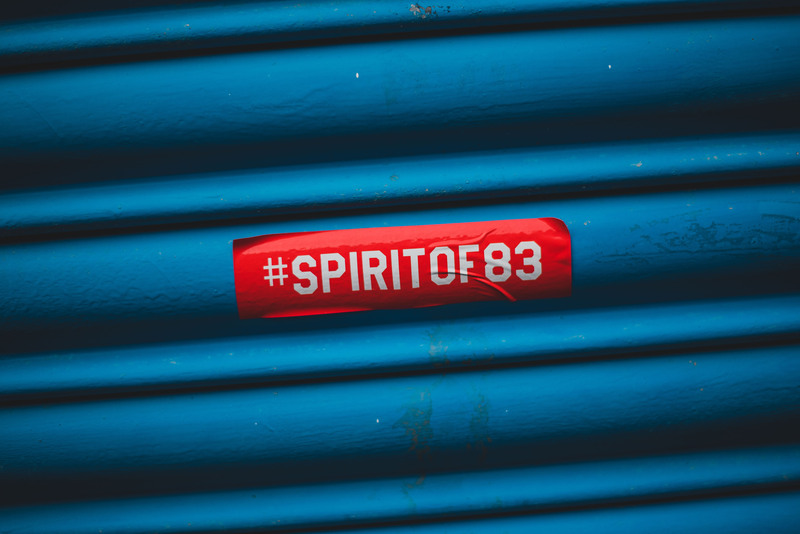 The Spirit of ’83 is a tribute to Aberdeen Football Club and it’s finest moment in 1983. On a rainy night in Sweden a group of eleven Scottish players won the European Cup Winners Cup led by then, upcoming manager Alex Ferguson. Overcoming Bayern Munich en route to the final in Gothenburg, the team saw off Spanish giants Real Madrid to secure the club’s first ever european trophy. 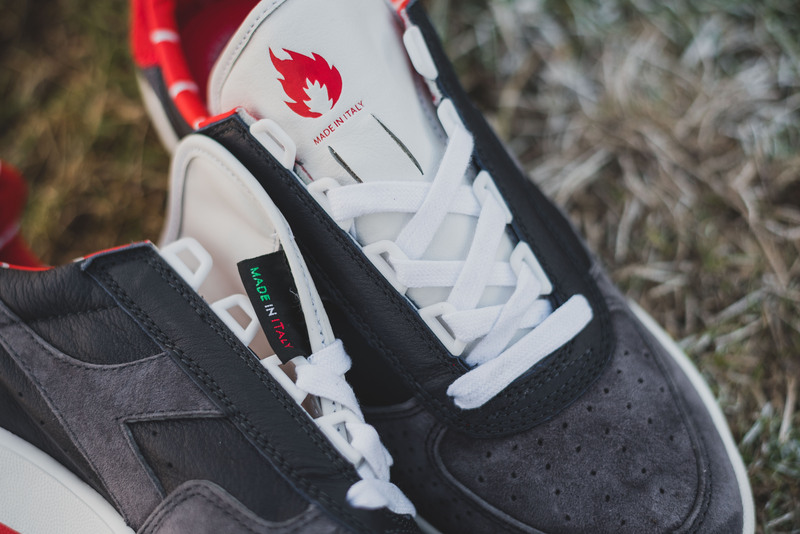 The original idea for the collaboration was to produce a pack of two shoes. 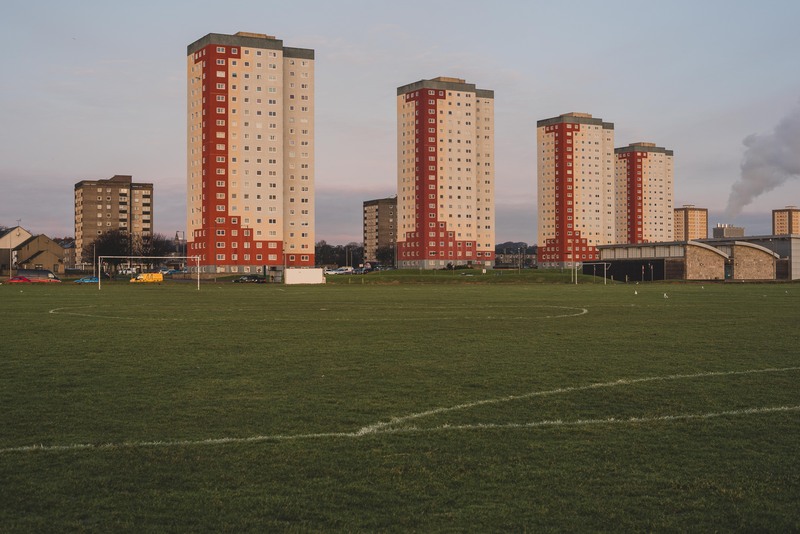 One to pay tribute to Aberdeen Football Club and its official team colours, and a ‘Friends and family’ edition that drew inspiration from the rainy night of the Final. 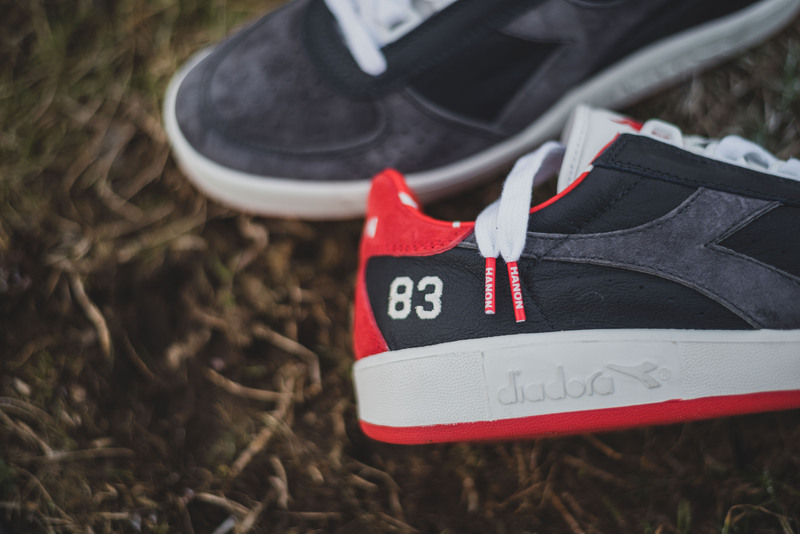 Our sequel edition follows the same luxurious material treatment of the 1st release and utilises Diadora’s superior production. 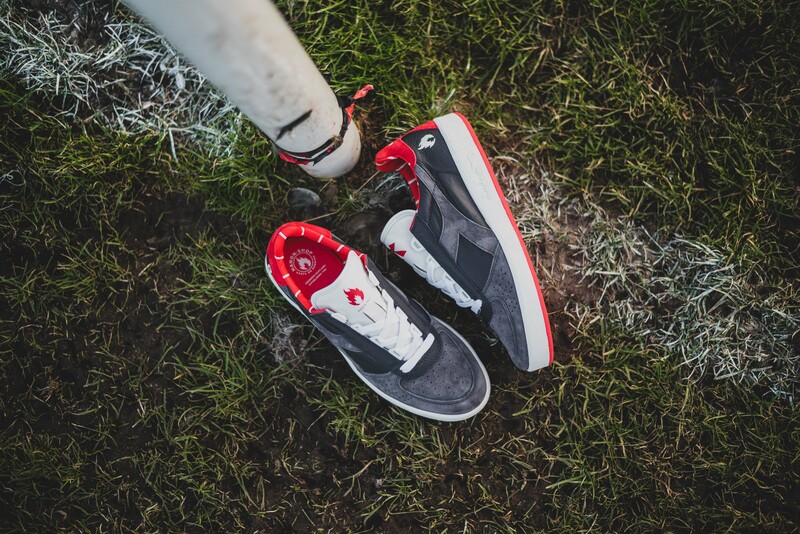 Handcrafted in Italy at their original factory in the small town of Caerano Di San Marco, the B.Elite Final takes inspiration from the rain soaked night in Gothenburg and is executed in a thunder grey colour-way with red and white accents. 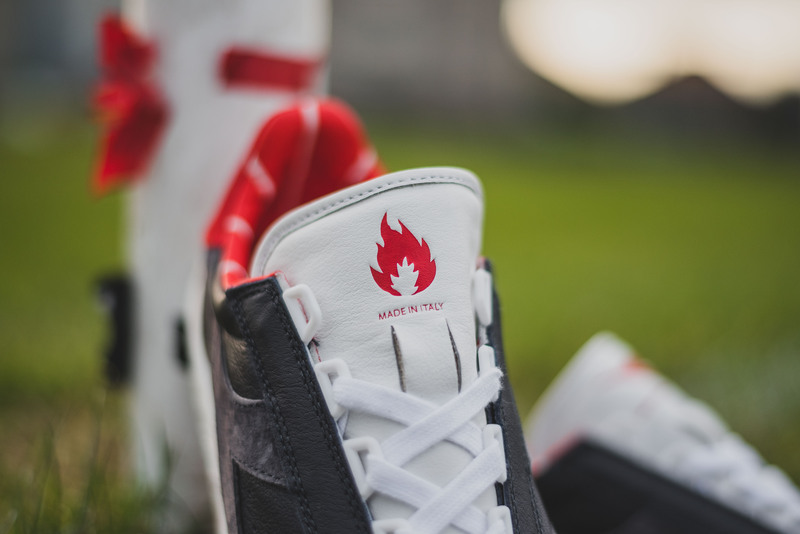 Finished in a plush kangaroo leather upper with buttersoft suede overlays, the B.Elite Final mirrors the first edition of 2015 and is specced to the max. 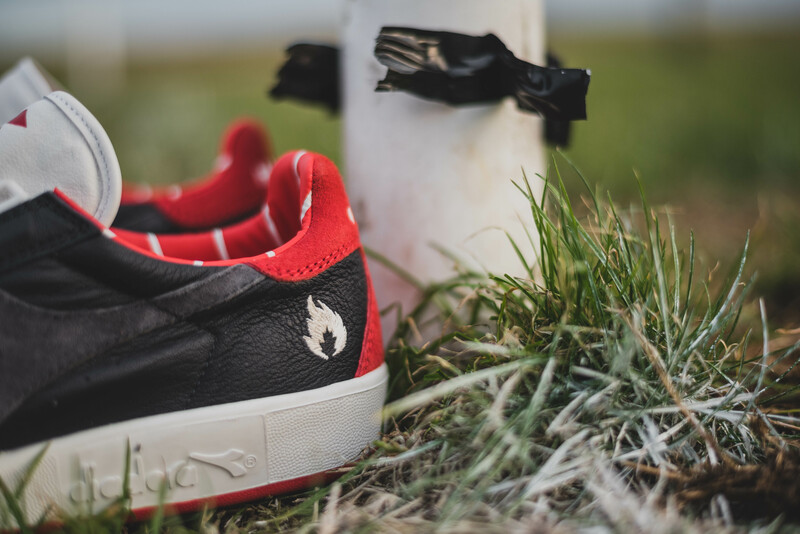 Attention to detail includes a laminated kangaroo leather tongue, double layered stitched leather insole and plush pin stripe collar lining. 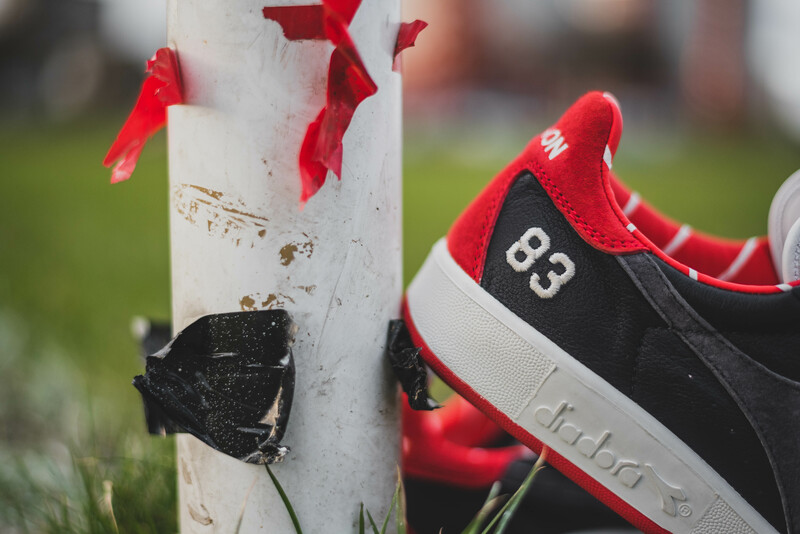 Dual branding features throughout- embossed and printed on each back tab and tongue, whilst our Keeps on Burning fire emblem and ’83’ are embroidered on opposing heels. 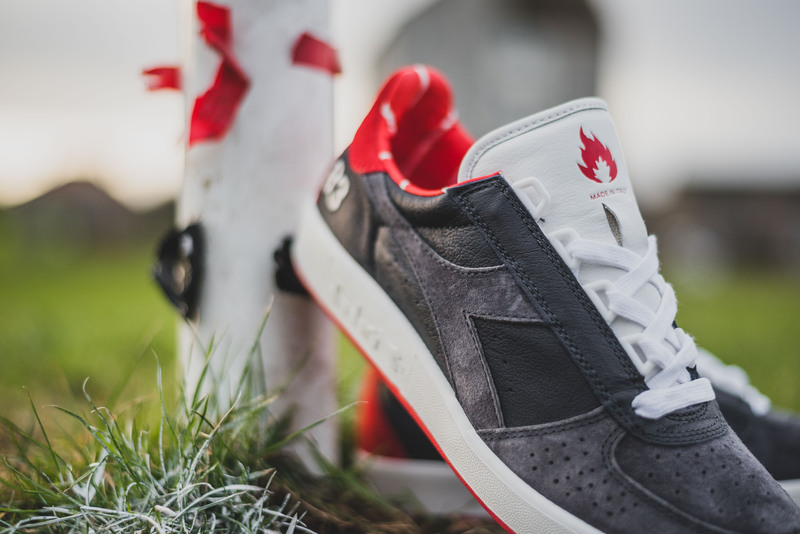 The hanon x Diadora Spirit Of ’83 B.Elite Final will be released in limited numbers exclusively at hanon on Saturday February 20th, 2016. Each pair will come with a special edition customised 83 box dust bag and dual lace set. 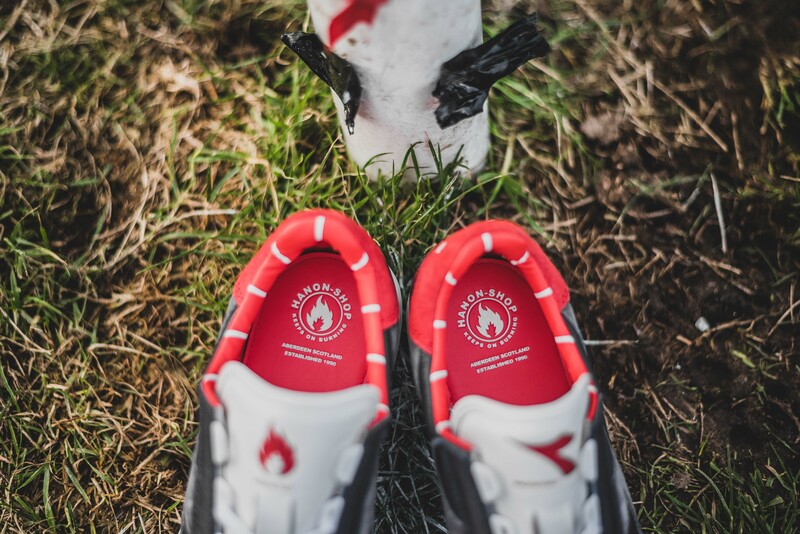 Now that we’ve got that out of the way, please enjoy some more images of the shoe, and I’ll see whoever makes it down to hanon on the 20th, until then!